Six twisted fairy-tale kingdoms, one mysterious Princess, and only one spot to be her new best friend. Only the most cunning, creative, and popular team shall win the title. Set in Princess Generica's home castle, you'll spend the weekend building strategies and playing to your team's strengths as well as plotting against your rivals and exploiting their weaknesses. Do you have what it takes to be the next Real Royalty? For three days you'll leave behind your mundane life and take part in this immersive roleplaying experience within a dark fairy tale setting. You will be transformed into a character where there is no script, and all the decisions are in your hands. You will join over 40+ other characters to take part in a sadistic gauntlet to determine who will be Princess Generica's new confidant. Will you triumph over the other participants and win the day or will you sabotage everyone else just because you can? Never participated in an event like this? No problem, our team will walk you through every step of the process and make sure you are well equipped to become your character for the weekend! But you have to apply today because we have limited spots and characters in this magical world and they are selling quickly! 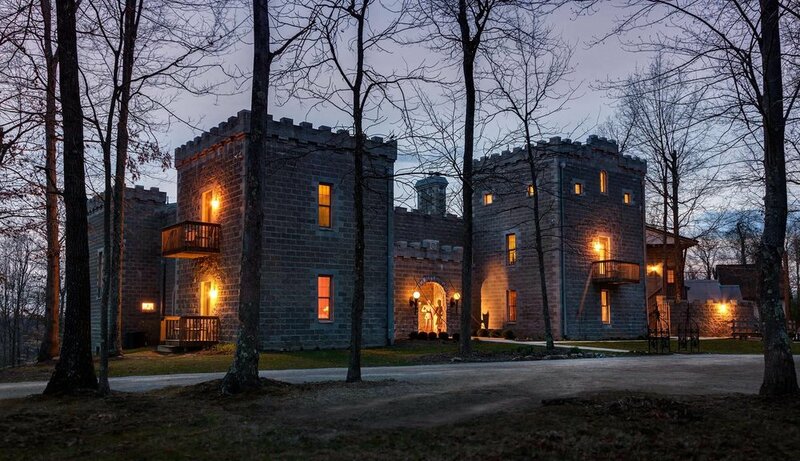 Our venue is Ravenwood Castle located in the beautiful Hocking Hills area of Southwestern Ohio. This is a roleplaying event where you will take on a persona, dress as they would dress and act as they would act. It's highly immersive, totally unpredictable and an experience you'll never forget. Each day will have lots of activities (described below) and lots of time to interact with the other characters in this open ended story. A multitude of events have been set up to pit the kingdoms against each other. While some of them are "traditional" challenges with a twist; Generica has come up with a few other events to keep things "interesting." Most of these games will take your whole team and your whole "cunning." Princess Generica, the fair and basic, does require her beauty rest, but that doesn't mean you do! Extra time and spaces have been set up without events so your character can continue the fun. After the princess has gone to rest, you can keep partying with your house at the tavern, or causing mischief in the other kingdoms. Two full days in character! Most importantly: A one of a kind fantasy experience found nowhere else on earth and we take care of all the logistic work. You just show up. ADD ON: Personal staged-location photo-shoot package with additional locations. Each package is put together individually for each member and depends on where you choose to lodge for the weekend. We have everything from comfy packages to couples, to simple packages for the budget traveler. The best way to learn the price is simply to fill out the application and schedule a time to talk with one of our experience experts. If yes, please tell us what you've played? What is your overall experience with events like this? What are your hopes for this event? If you have attended events previously, what types of things have frustrated you? How comfortable are you with roleplaying with the following themes: drugs, violence, sexuality, murder and betrayal? Would you be interested in our individual photography package? This package includes personalized mini photoshoots, where a player will have individual time with a photographer at each photoshoot location. The photoshoots are spread out over the weekend to allow for costume changes and scenery changes, making it the perfect addition to show off your hard work on garb. 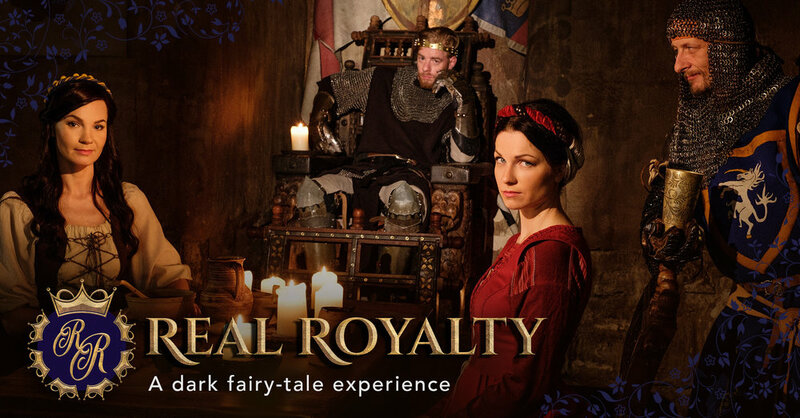 Join us at Real Royalty 2019! Complete our application, and we will contact you about our event. Learn more about what's going on and upcoming events! ©2018 Copyright Hanging Lantern LLP. All rights reserved.